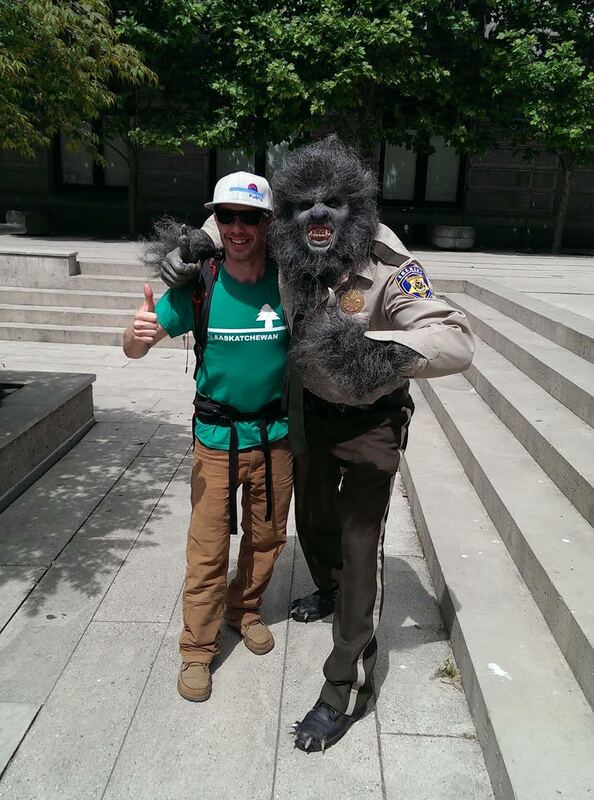 A rare werewolf sighting during lunch hour on Tuesday, June 3rd along Robson Street between Howe Street and Hornby Street in Vancouver. 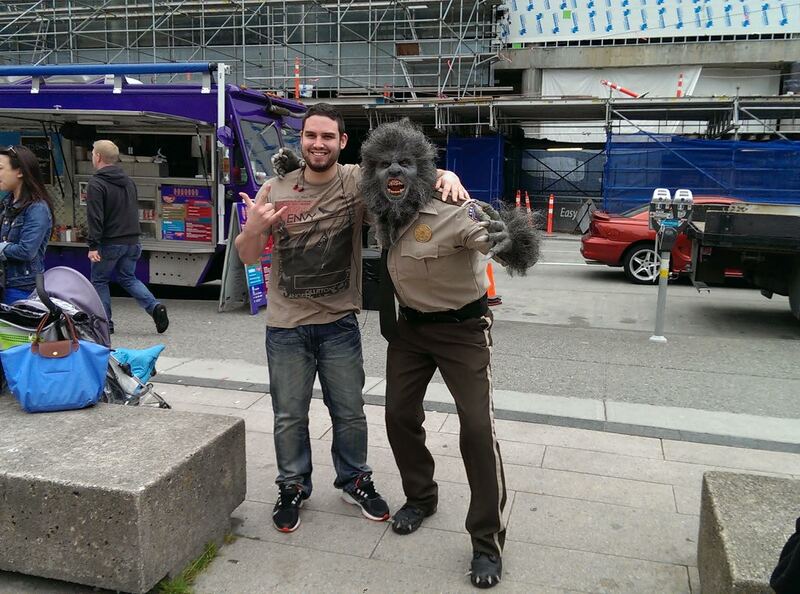 WOLFCOP premieres in Vancouver (International Village Cinemas) and across Canada starting Friday, June 6th. WOLFCOP is a horror-comedy that follows Lou Garou (Leo Fafard), an alcoholic cop who tends to black out and wake up in unfamiliar surroundings. However, lately things have taken a strange turn. Crime scenes seem oddly familiar, Lou’s senses are heightened, and when the full moon is out, he’s a rage-fueled werewolf. WolfCop is one cop’s quest to become a better man…one transformation at a time. 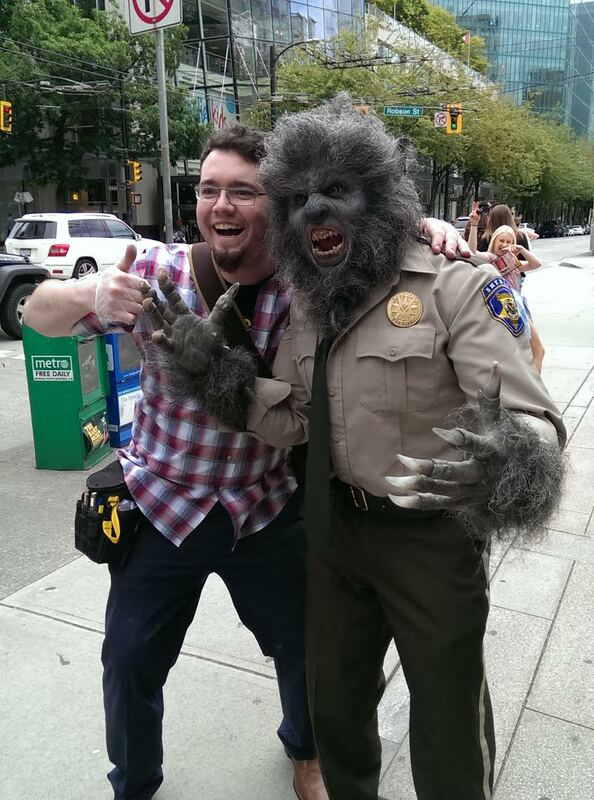 WOLFCOP is the debut feature film to come out of Vancouver’s CineCoup Film Accelerator – an innovative studio model that disrupts the way independent films, by new filmmakers, are marketed, produced and distributed.